The story opens when Jeremiah, an unruly twelve-year-old, invades the stall of an idol seller. He destroys some of the idols and calls on the people to return to the worship of the one true God and not put their faith in idols. Josiah, the king of Judea, knows Jeremiah well because he is often involved in escapades that call the Jews to worship the true God, but start riots that cause Jeremiah to be brought before the king. 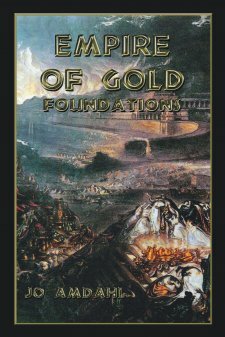 Although this book is categorized as a novel, it is much more of a history of the time of Nebuchadnezzar when Egypt, Assyria, and Babylon were powers in the Middle East. The history is well researched and there are numerous footnotes. As a history, it is well done. As a novel, the book leaves much to be desired. The characters are described and there is dialog, but they are primarily used to tell the history, either in their thoughts, or in description by the author. I can't recommend this book as a novel, but if you enjoy history, particularly biblical history, you may enjoy this book. I received this book from BookLook Bloggers for a review.